So…Is Hiroto Choko’s brother or stepbrother? Given what happened in the previous episode, even if it wasn’t sexual in nature, it’s still wrong for a blood-related brother to do that…so I’m hoping with the fact that Hiroto’s parents got divorced that Choko is only his step-sibling. That being said…this was a rather cute episode, although moony Sakura still makes me want to smack her. Episode 5: Feelings start running…! The shocking destination of love!! So we open with a disappointed Sakura on her way back home. She gets a call from her mother who asks after Sakura’s little brother Satoshi. At this point, Sakura walks past a couple making out and it turns out it’s none other than Satoshi! He has a girl with him as well. It turns out that Satoshi fell in love with Rie who worked at a cabaret. After knowing each other only two months, he asked her to marry him. Their mother disapproved so he and Rie ran away together. Just as Sakura gets this shocking news, the doorbell rings. Who could it be that late at night? It’s Hiroto! He’s come to apologize. Sakura doesn’t want to let him in because he stood her up, but Satoshi ends up letting him in after a fierce battle over the door buzzer that left Hiroto baffled. Once inside he immediately apologizes to Sakura for standing her up, but something came up that he could not avoid. Yep, crazy chick. Satoshi is shocked to learn that Sakura is dating a 24-year-old. During this time we get a lot of bickering with the siblings. 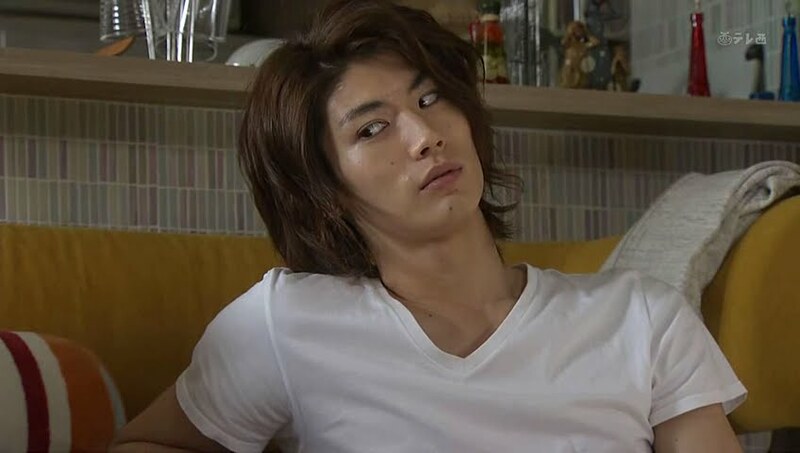 It’s funny as Hiroto just sits back and watches the family drama unfold. You also get to hear Sakura and her brother talking with a Fukuoka accenet (where she’s originally from). At this point their mother calls again. Sakura initially ignores the call, but warns Satoshi their mother will keep it up all night. So Satoshi tells her to answer it and tell their mother he’s not going back home to Fukuoka as he will stay in Tokyo and look for a job. Sakura doesn’t say this and promises her mother to try to persuade her little brother to go back home. So Rie and Satoshi are crashing at Sakura’s place for a little while. Just as Hiroto was about to leave for the night, Satoshi brings up the game Othello. He wishes to challenge his sister for a revenge match. Thus the quartet stay up playing Othello. When the game finishes, Rie and Satoshi stay in Sakura’s room while Sakura and Hiroto sleep out on the living room floor. I guess…Hiroto staid over because it was really late…? It makes Sakura all shy and nervous and high schooly to be with Hiroto like that. 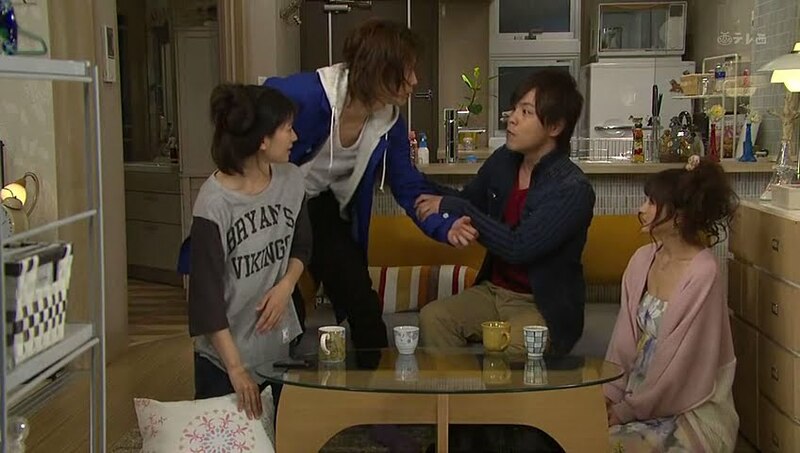 Their more romantic mood and kiss is interrupted by Satoshi trying to get it on with Rie. LOL. In his sister’s bedroom to boot. What a character. After Hiroto falls asleep, Sakura sits up complaining about how she can’t. We then cut to morning where she is sleeping soundly and Hiroto is watching her with a smile. When he bursts out laughing, Sakura wakes up. She’s all happy to be waking up next to him in the morning. Seeing her appearance, Hiroto again can’t help but to laugh. He assures Sakura it’s not a bad thing and nothing is wrong. He then rushes out of the house to prepare for his tournament leaving Sakura mystified as to just why he was laughing. Laughing while looking at your sleeping face is just fine. You know…this is the first time that I think Sakura and Hiroto had more than a sibling type chemistry. Anyways, it was really fun to see them together acting more natural. Although…Sakura and her weird, immature way of acting around Hiroto does grate on my nerves still. At the salon, a customer is making bad puns about Sakura’s brother to which Sakura encourages the other worker to laugh even though its horrible. Choko is also there to have Tachibana do her hair yet again. She apologizes for the kiss (although she just says the other night). This shocks Tachibana and makes him uncomfortable. Choko then hands him a ticket to a pro baseball game. Receiving the envelope again makes him uncomfortable, but the present suits him given how much he loves baseball. Back in the staffroom, the others talk about how Choko likes Tachibana. The man can’t be blind to that fact, can he? 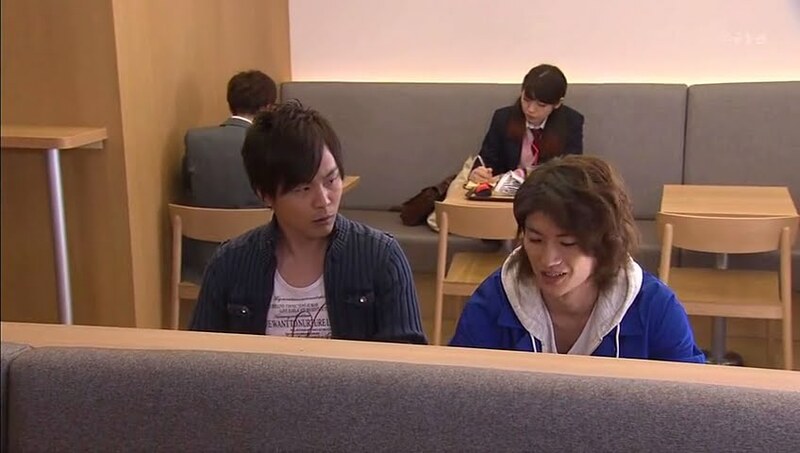 Hiroto ends up meeting with Satoshi for lunch. The 30-year-old has has no success in looking for a job and is depressed. He asks how Hiroto got into cycling and Hiroto explains that his mother took him to see it in elementary school and he’s been hooked ever since. So…can he make a living off of that? 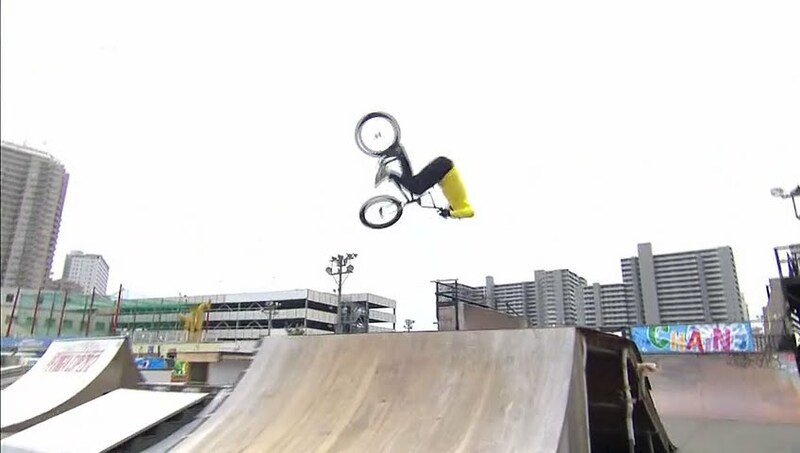 Satoshi immediately says he’s not trying to be rude, it’s just he doesn’t know anything about the BMX world. Satoshi also says that his older sister has had quite a troubled life and she deserves to be happy more than anyone else. I was hoping for more backstory, but we never get it. Meh. He also hopes Hiroto isn’t after Sakura’s money. 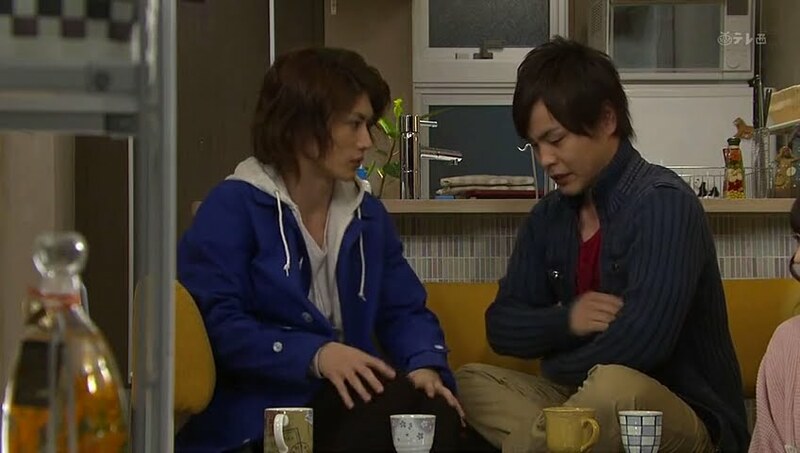 Hiroto assures Satoshi that he isn’t using Sakura as his own personal bank. This relieves Satoshi as he is much too dependent on his own sister for his finances as well. Well, it’s nice that Satoshi is worrying his sister will end up with a guy as useless as he is. More problems with Miki and her mother-in-law. What else is new? While Mrs. Takenouchi is giving her a hard time, Kohei is out stalking Shima and follows her to a hotel to get her to leave without keeping her “appointment” with another guy. Haruko and Sakura pass by in the area and Haruko points out the scene which sends Sakura reeling. She is too far away to hear the discussion, but it looks like a heated argument. Shima is upset about Kohei’s interference in her life. Kohei keeps telling her she’s important to not just Miki, but him as well. So…what? Does he love Shima? Yes, he does. If there was no Miki… So…can Shima tell Miki then? Kohei clams up. Sigh. I don’t like him. Though I also think it’s not good for Shima to constantly fool around, either, but still. He has no say in her life. Sakura goes to Ken’s bar in a daze. Tachibana notices this, but says nothing. Sakura then wonders out loud if there is a reason to be friends with a husband. She then explains that A and B are friends and B becomes friends with A’s husband and is seen coming out of a hotel with him. What purpose could they have to meet? Tachibana and Ken both reply the only answer is an affair. That’s right, people normally think that way, right? Tachibana then quickly deduces that Shima and Kohei must be having an affair. His astuteness surprises Sakura. So…what should she do? Tachibana tells her not to jump to conclusions and talk to Shima about it first. We then cut to see Miki horrified by finding Kohei with his head in his mother’s lap getting his ears cleaned. She complains about it the next day at yoga class. Poor Sakura just doesn’t know how to face Miki. Once Miki goes to get a drink of water, Sakura asks Shima about what happened with Kohei at the hotel. This surprises Shima that Sakura saw them. But she is quick to say she isn’t the type of girl to do anything with a friend’s husband. This relieves Sakura a bit, but you know she still feels badly about the whole confusing situation. Even if your lovers change, your friends don’t. Hiroto is with Choko yet again. She’s trying on clothes and asking for his opinion while he looks at pictures on his phone of him, Sakura, and Satoshi an Rie with a smile. Choko complains of his disinterest and asks how things are going with Sakura as they seem to be getting along well. Hiroto replies that he is only doing as Choko told him. Choko does wonder if he will end up falling for his target. Hiroto doesn’t reply and leaves the store. We then cut to Sakura who goes past a shine where football players gather to pray. This gives her an idea. She approaches a worker and asks for a good luck charm for success in a tournament. While the woman is helping her, she gets a call from Hiroto and starts acting all dopey. Blech. She apologizes for the commotion with her brother, but it doesn’t bug Hiroto since he has no siblings to depend on like that. Their conversation ends and the football team and priestess shoot Sakura weird looks while Choko looks unhappily out the window at Hiroto. Sooo confused about their relationship. Shima catches Kohei stalking her yet again. She then tells them they have to talk. 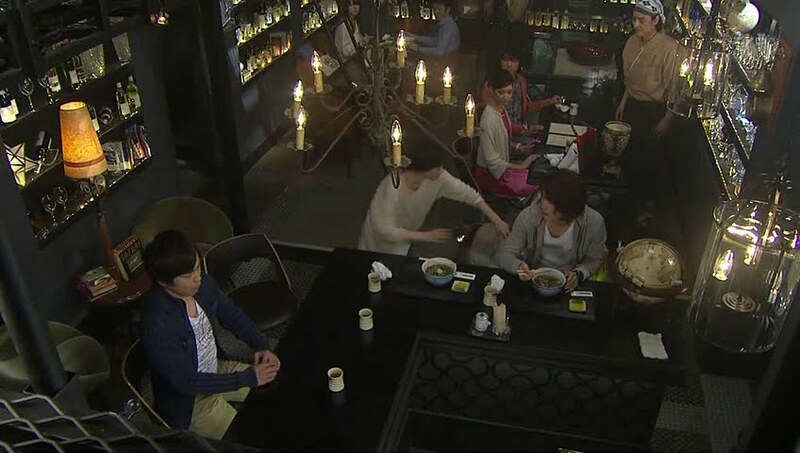 They got to a café where Shima reveals Sakura caught them leaving the hotel. Well…that’s bad, but they haven’t actually done anything to be ashamed of. Shima asks if he really believes that. Silence. Yep. There is something to be guilty over even if they didn’t actually commit adultery. Shima is happy that at least it was Sakura and not Miki who saw them. She then says that she and Kohei are to never meet again. She hands over a list of outpatient hospitals that handle ED. She encourages him to go. She then reveals her marriage broke up as both she and her husband wanted kids, but were unable to get pregnant. Instead of going to a doctor for verification of infertility or anything like that, they just let everything build to its breaking point. She doesn’t regret ending her marriage, but she regrets not doing all she could have done. We then see a suspicious Miki looking at her husband’s cell and hating herself for it. 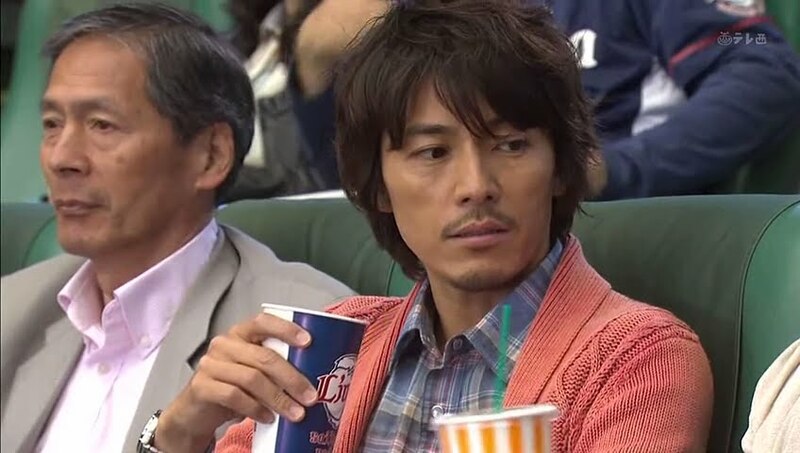 Tachibana arrives at the baseball game only to have Choko arrive later. He’s not happy or comfortable wit this at all. My question…WHAT kind of person dresses to the nines like Choko for a baseball game? 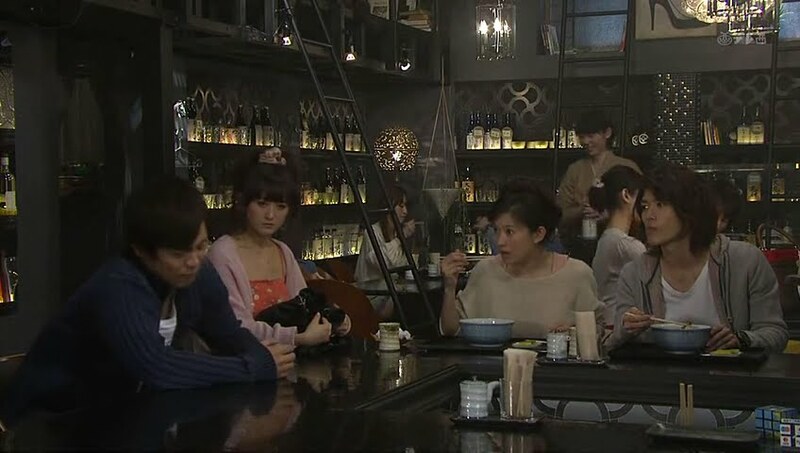 Hiroto and Sakura are at Ken’s bar when Choko and Tachibana come in together. Choko and HIroto aren’t happy to run into one another. Sakura teases Choko about being caught with Tachibana. Choko replies she and Tachibana have just come from a baseball game where Tachibana was nice enough to explain everything for her. Sakura chides Tachibana that they look like father and daughter and he replies that that same can be said of Sakura and Hiroto. Enter the depressed Satoshi. He still has had no luck in finding a job. None of these Tokyo people are taking him seriously at all and view him as a country hick. This discourages him. He then asks Sakura for a loan so he can buy a snazzy suit for an interview. As Sakura stands up to berate him, Rie beats her to the punch and slaps him. Satoshi just won’t change will he? How long will he go on leeching off of his older sister? Rie rushes out and Sakura slaps Satoshi upside the head when he refuses to chase after the girl and Sakura chases after Rie herself. Satoshi apologizes to Hiroto for the scene and then says he was only running away as he felt himself being a country bumpkin. However, coming to Tokyo only reinforced just how much of a country bumpkin he really is. Hiroto tells Satoshi to follow him and the two go to a warehouse where Hiroto works part-time as BMX really doesn’t pay the bills. He is too proud to admit this to Sakura, though. Satoshi is happy that at least Hiroto has a dream of making it big and getting a sponsor so he doesn’t have to work part-time anymore. Hiroto reminds Satoshi that he does have a dream—isn’t it Rie? 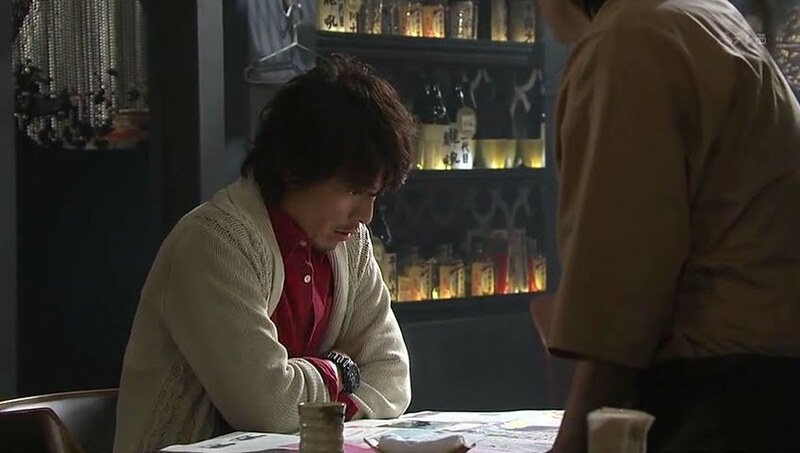 Satoshi is very touched by Hiroto’s attitude and goodness and bows deeply asking the younger man to take care of Sakura. This shocks Hiroto and he gives a deep bow back. While that man-to-man conversation was going on, Sakura and Rie were having a heart-to-heart as well. Sakura is hoping Rie doesn’t give up on Satoshi and gives him a chance to grow up. I think with Rie around, she’ll whip Satoshi into shape. 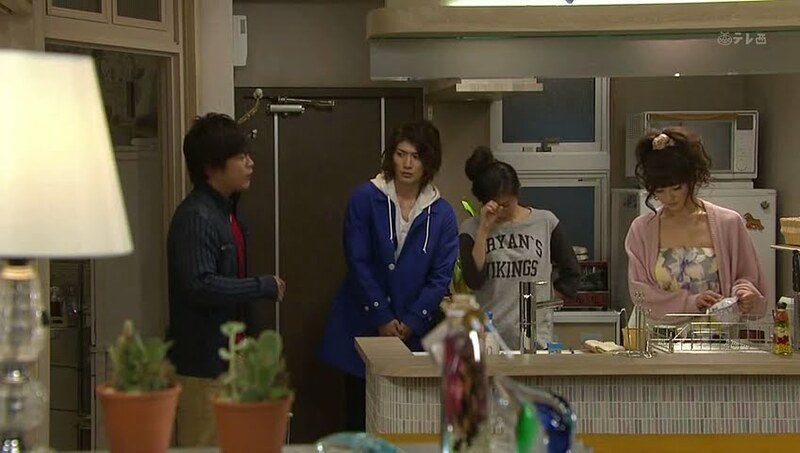 Back at Ken’s, Choko asks when she and Tachibana will go out again. What does she mean? On their second date. Date? Did she see this as a date? Well, yes, she did. Tachibana explains that he only sees Choko as an adorable little sister. I was waiting for that speech to come out. This hurts Choko and she accuses him of being in love with Sakura before running out. Ken scolds Tachibana for his tactlessness. So…what happened? 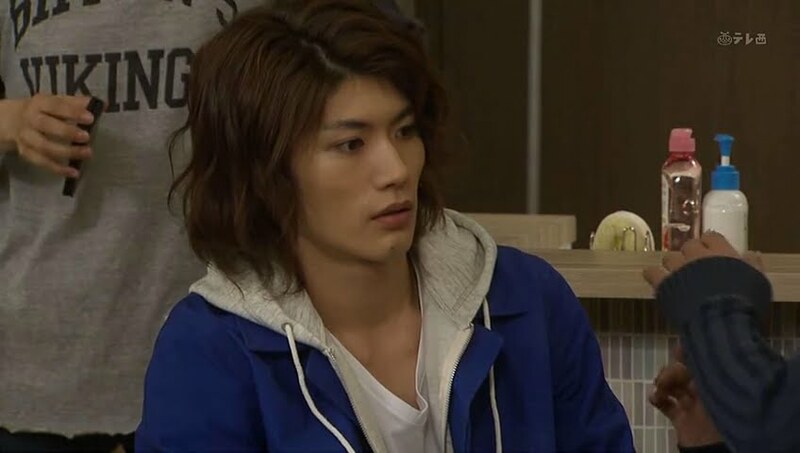 The shocked Tachibana replies that Choko accused him of loving Kin. This surprises Ken. Doesn’t Tachibana like Sakura? This surprises Tachibana even more. For how long have those rumors been going around? Satoshi and Rie make up and plan on going back to Fukoka. This relieves Sakura. Of course, they again do naughty things in her apartment which makes her shout at them once more to do such things in a hotel instead. LOL. The day of the tourney arrives and Sakura is a complete wreck. She was so worried that she didn’t sleep a wink the night before. Sakura tells her friends that with just one wrong move, a biker can be seriously injured. She then rushes off to use the bathroom. On her way, she finds Hiroto getting beaten up by Momo’s brother and his gang. They are upset that Hiroto used Momo for her money and then dumped her—isn’t he too arrogant? Sakura jumps into the fray and does her best to keep the boys at bay and keep Hiroto safe. Luckily staff chance by and the guys wrong before they can hurt Sakura. Hiroto hugs Sakura to him and scolds her for doing something like that as he was really worried about her, but he thanks her for doing that for him as well. The match starts and Sakura sits on pins and needles until Hiroto’s turn. One he starts, she can’t stay seated. She gets up and watches from the barrier wincing and closing her eyes. Hiroto manages to pull off a flawless performance even while injured. The results are announced and Hiroto manages to win first place. The happy Sakura immediately passes out. Her friends and brothers immediately rush over to help her and Hiroto does as well. He scoops her up and starts walking away with her when he yells that Sakura is fine, only sleeping. Oh, yeah. HIroto is so falling for this woman. Ken shows Tachibana the article about Hiroto’s win and Ken is shocked to learn that Saeki is Hiroto’s “stage” name so to speak. His real last name is the same as Choko’s. Not only that…his father is president of the same company that Choko’s father is. This shocks both Ken and Tachibana since neither Choko nor Hiroto acknowledged one another when they met. You can also see the gears in Tachibana’s head working as he starts putting things together. We then end with Sakura saying goodbye to her brother and Rie and Satoshi congratulating her on finding such a good guy like Hiroto. Again. Siblings or step? Hiroto said he was bullied after his parent’s divorce…so I’m hoping step. I still wonder why Choko jumps to the conclusion that Tachibana is in love with Sakura. I’m not saying he isn’t, but at the same time, he has never given any indication he is. They just get along well as friends. I liked – 1) the closeness of Sakura’s family, 2) the WTHeck expression on Hiroto’s face as he watches their interactions (sad, he has no family warmth), 3) the straightforward way Sakura flat out asks Shima about Kohei (no wasted waffling secrets there!) 4) the fact that Shim gave Kohei his “walking papers” and good advice about marriage, 5) the way Sakura will stand up to bullies (although she REALLY needs to take a self defense class, ’cause sometimes there will not be stuff to throw! ), 6) how cool is it, to have family and friends that support your relationship with a younger man instead of hammering you into the ground about how wrong it is (even though I still believe that Sakura will end up with Tachibana), 7) Hiroto’s concern for Sakura. EWwey stuff – 1) Choko’s obsession with Tachibana and Hiroto, 2) the gooey way Sakura acts when around Hiroto (“..weird, immature…” you nailed it), being shy and awkward..groovy, bordering on childish…um, no, 3) having a 30 year old brother that is still being supported by you (quit the enabling and make him stand on his own two feet!!). 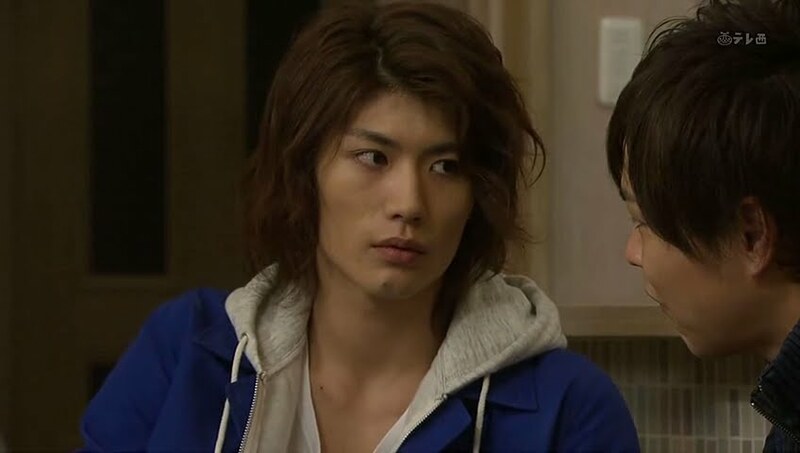 I’m glad Shima made it clear with Kohei that she won’t see him anymore and that she will not have an affair with him. I really hope that she will stay smart about her ‘friendship’ with Kohei and steer clear out of his way. I really don’t want her to be misunderstood by Miki! Thankfully Sakura is understanding of Shima and willing to trust her. I don’t get Hiroto & Choko’s relationship either. They seem to be more than (step)siblings. Hiroto doesn’t seem to regard Choko as his true sibling so I figure they must be step-siblings. But he is close enough with her to go clothes shopping with her O_O Either that or Choko is really lonely so she has Hiroto tag along with her to keep her company. The ending was a bit cheesy with Sakura falling asleep and Hiroto carrying her off into the distance. T_T”” But maybe it was worth it for Hiroto’s cute smile at the end? LOL! the last episode i wanted tachibana to end up with her but now since this episode i want her to end up with hiroto. i actually was thinking that tachibana would end up with sakura and hiroto would end up with choko, because i thought they were like former lovers or something. then they were all oh they’re related. 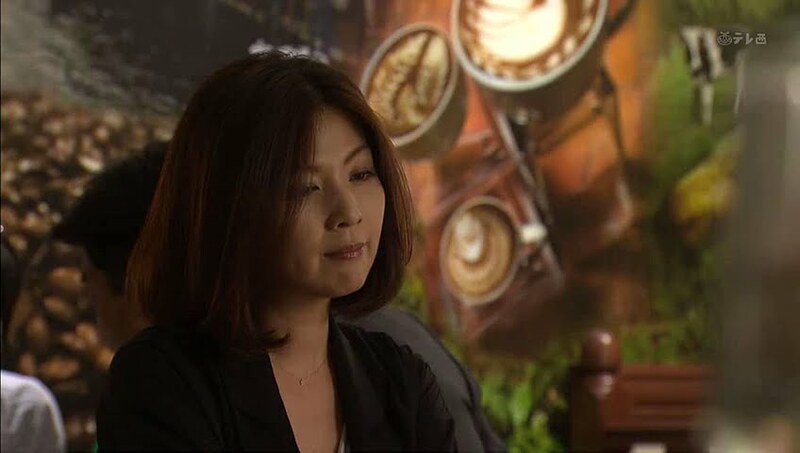 i have seen a couple of dramas, well the one that comes to mind is maji no aji – about a uncle and a niece, where they are related but what the writers do to make it not so uncomfortable is to say one of them is adopted. so i think if the show decided to go down that road that’s probably what they might do. there were a few times i thought maybe hiroto is jealous because choko is with tachibana but i don’t know. I’m going with step siblings since Hiroto talked to Sakura’s brother about how he was treated poorly after his parents divorced. He also said he had no sibling to count on like that…unless he’s just implying psycho Choko isn’t reliable… Who knows? Yeah, I think they’re step siblings. And when he mentioned his Mum, it sounded like she wasn’t around anymore. So i think his Dad is the CEO of the company, and Choko is his wife’s daughter. As to this episode, i really liked this week. This is the first episode that i’ve thoroughly enjoyed, even with the annoying bits that you already mentioned. But Hiroto is smiling and laughing and genuinely enjoying himself. And I love seeing that. Ken’s comment about Tachibana liking Sakura amused me, and I loved Rie for telling Satoshi to stop being so spoilt and relying on his sister. Go girlfriend!